Keurig has daily deals throughout the month of March and today's is a good one that I thought I'd share! 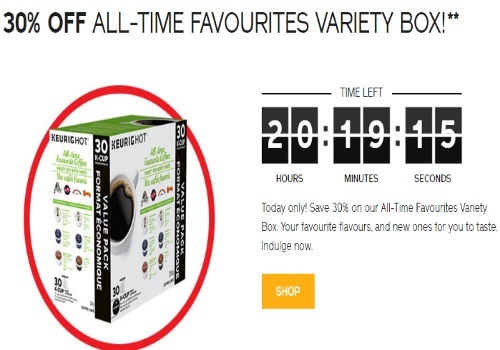 Save 30% off their all-time favourites variety box! Offer is available from March 23, 2016 at 12 p.m. (EST) to March 24, 2016 at 11:59 a.m. (EST), or until supplies last. A maximum of 9 boxes per product can be added per order.